You Are Here: Home > How Do I Check My Car’s Engine Oil? Your engine’s lifeblood is its oil. You should always make sure your vehicle has enough oil to protect all the engine’s internal moving parts, whether you’re sticking to the streets of West Hollywood or heading far from Los Angeles and North Hollywood. Newer vehicles have electronic oil monitors that don’t use traditional dipsticks, but older models may not. Regardless, always start a vehicle inspection by consulting your owner’s manual for recommendations on your specific Toyota model. Explore our Toyota Camry oil change guide for more information. 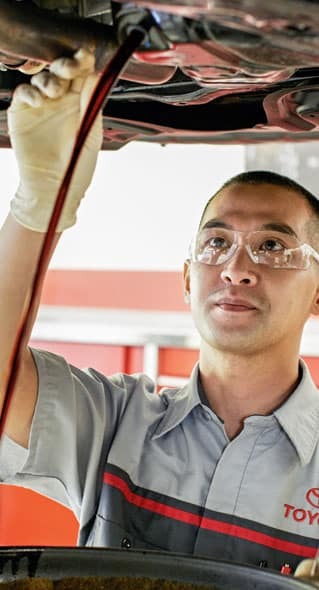 Your dipstick might be different from others, but it will have some way of indicating where the proper oil level if. If you see that the top of your oil streak is between two marks or within a crosshatched area, the level is good. If it isn’t there, you’ll probably need to add more oil. Again, check your owner’s manual to see what oil grade the manufacturer recommends. Then, remove the oil filler cap, and add oil a little at a time until the dipstick indicates you’ve reached the proper level. Includes 30,000 Miles Major Service See your service advisor for details. Drive a new vehicle for the same or similar payment as your current vehicle. See service consultant for details. Toyotas only. Plus tax. Please present coupon when order is written. Not valid with any other coupon, offer or advertised special. Valid only at Toyota of Hollywood. Toyotas only. Drive a new vehicle for the same or similar payment as your current vehicle. See service consultant for details. Toyotas only. Plus tax. Please present coupon when order is written. Not valid with any other coupon, offer or advertised special. 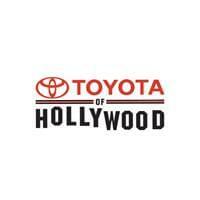 Valid only at Toyota of Hollywood. Toyotas only. If you’re driving around North Hollywood, you want to make sure you’re prepared for the unexpected. Check out this helpful emergency car kit guide from Toyota of Hollywood, and take another step toward getting ready for your next road trip out to Palm Springs or up to San Francisco in safety with a Toyota RAV4 or Toyota Camry….